As always, click on any link above to be taken to the library catalog. Enjoy! Google SketchUp is software that you can use to create, modify and share 3D models. It's easier to learn than other 3D modeling programs, which is why so many people are already using it. It is very easy to use...I'm a librarian (not a graphic designer!) and I had no trouble using it...plus it was lots of fun. I've been reading over the many summer reading lists from local schools today and thought I'd share my thoughts on some of the books on the list that I've read as well as some other interesting things you can check out in relation to the book. If you love the Lord of the Rings trilogy and haven't read this book....why not? It's the prequel to the Lord of the Rings tales and quite a good epic adventure book itself, telling the tale of the hobbit Bilbo Baggins. A very interesting book that acts as a history lesson. It deals with the meatpacking industry in the early 1900's and the poor working conditions and poverty that employees faced as well as the corruption of the people higher up in the organization. Grim? A bit, but it presents a good look at how working conditions were 100 years ago. Focusing on the happenings of the Wiggin family (specifically Ender Wiggin), this futuristic sci-fi book deals with Earth turning to Ender to save them from an alien race known as the buggers which threaten to invade and destroy Earth. This book focuses on Ender's training at battle school and his rise to leader against the buggers. My description of the book makes it sound like a bad sci fi adventure, but trust me it's not. It's a well written book that dives into the psychological aspects of the characters. Plus, if you like the book there's more in the series to read...always a plus for any reader. Dealing with the life of Jerry Renault, this book focuses on Jerry's desire to not participate in the school benefit to sell chocolate and aid the school. In doing so, Jerry is rebelling against the headmaster of the school as well as the secret society known as The Vigils. At first, he finds himself a sort of hero, but over time becomes the target of many attackers who accuse him of being an enemy to the school. Once again, my description of the books fails to live up to the actual greatness of the book....but trust me on this one! I really enjoyed reading this book (which I actually read as part of my summer reading list in high school) and recommend it highly. When I wrote my review for Weezer's The Red Album on Tuesday I mentioned a song called "Bohemiam Rhapsody" by a band named Queen. Melissa The Librarian (who will be bringing us some music reviews next week) brought it my attention that some people reading this blog may not know who Queen is let alone have ever heard the song "Bohemian Rhapsody". So here's the deal with Old School Thursday. We'll talk about some really cool older things that somehow relate to today and who knows....maybe you'll dig it. If not, it's like some kind of history lesson. 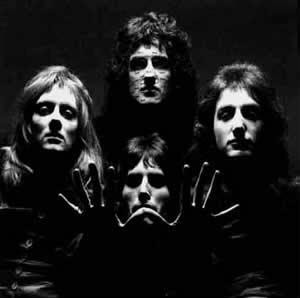 Queen are an English rock band formed in 1970 in London by guitarist Brian May, lead vocalist Freddie Mercury, and drummer Roger Taylor, with bass guitarist John Deacon joining the following year. Queen rose to prominence during the 1970s and are arguably Britain's most successful band of the past thirty years. Queen had moderate success in the early 1970s, with the albums Queen and Queen II, but it was with the release of Sheer Heart Attack in 1974 and A Night at the Opera the following year that the band gained international success. Since 1975, eighteen of the band's albums have reached number one on numerous charts around the world. Since 1973, they have released fifteen studio albums, five live albums, and numerous compilation albums. Following Mercury's death in 1991 and Deacon's retirement later in the decade, May and Taylor have performed infrequently under the Queen name. Since 2005, they have been collaborating with Paul Rodgers, under the moniker Queen + Paul Rodgers, which has led to Queen recording their first studio album in 13 years. Trust me...Queen are an awesome. Their music is very thematic, arena rock type stuff. It's a weird combination of opera/musical type music crossed with good solid rock music. It's tough to describe, but trust me...it's good. The Pendragon series is a basic good versus evil, however it is also much more complex than that. It contains more depth than simply being good is good and bad is bad. There are times when the "good" characters question their motives. They are very real, and have very real reactions- whether that is to give up if they've had enough, or to go completely insane, or try to avenge a lost family member, or whatever. It raises a lot of questions about the way things are, and possibilities about how things could be. It really is a series that contains almost everything, seeing as it takes place on 7 different planets in different eras, with many different complex characters...The series switches perspectives as well. It's partially written in journal form-Bobby's journal, which is also a letter to his friends- and from his friend's perspective. Occasionally there will be another perspective thrown in as well. This gives several takes on what is happening, and also tells you what is going on in different places at the same time. 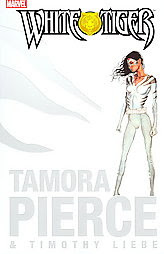 This is confusing in some parts, when a new character is introduced and then forgotten until 200 pages later, but in the end it all comes back together, with all of its unexpected twists and turns leading into an ending that wasnt expected yet fits perfectly. There will be ten books in the Pendragon series, however only nine are out so far. It begins when Bobby and his friends are 14, and by the 9th they are 18- so it allows for a wide age range of readers. Many thanks to Beth for her excellent review. 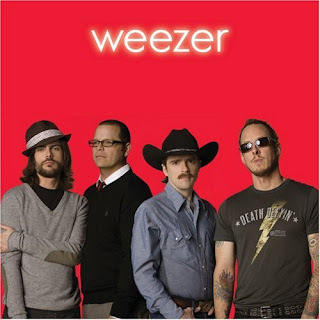 Music Review: Weezer "The Red Album"
I can’t lie. I’m a huge Weezer fan. I’ve been since 1994 (does that make me old?) and I just can’t get enough of them. I honestly think that they’re the greatest band of the 21st century. We just got their new album The Red Album at the library. I cannot stop listening to it. Starting off with the pop tune “Troublemaker” the band immediately gets into your head. You can’t help but sing along. The next song “The Greatest Man That Ever Lived” is a masterpiece…6 minutes of music that twists and turns every couple bars and invites you along for the whole ride. It's the most epic song I've heard since Queen's "Bohemian Rhapsody". “Pork And Beans”, the first single from the album (no doubt if you listen to the radio you’ve heard this one before) is the song for the summer of 2008. The last bit of the album finds the band in an interesting mood, as they switch gears and take turns singing lead vocals. It’s the first time something like this has happened on a Weezer album and I hope it happens more. One of the cooler things about the copy we got at the library is that it is the deluxe edition of the album. What does this mean? 4 extra tracks that rock your socks off. "Miss Sweeney" is the first, which explodes into a huge sing along chorus. "Pig" comes up next and is a beautiful song about the life and death of a pig. Sounds a bit silly but trust me...it's a great song. The deluxe songs end with two other stellar tracks, "The Spider" and "King". Don't pass up the bonus tracks...they're some of the best songs on The Red Album. Does the album have downsides? Sure. Sometimes the lyrics are a bit on the childish side and instead of inviting you into the song they kind of make you say "Did I hear that correctly?" Do I suggest you check out this album? YES YES YES. Good times at the library...June 2008. I read all three of the House of Night novels that are out so far, as have most of my friends. I read the books because of my friends' praise, but I wasn't wowed. They seemed to be a bit shallow. The main character goes from being a normal high school girl, to being a special fledgling vampire with special talents that speaks to a Goddess, to trying to fit in at her new school, to having three boyfriends at once...so much happens to this one girl in such a short amount of time. That's another thing- it's pretty rushed. The entire series up to the point it's at now took place only over a month or so- that's three books. The fact that everything happens so quickly takes away any believability that might be in a vampire book. Plus the fact that nothing happens to anyone but her, and her universe revolves around herself and occasionally something will happen to her immediate friends, but those events aren't focused on so much as her personal problems. Which I guess is what you can expect from a book that's written in first person view of a somewhat self-abosorbed girl with a lot of issues at once... all in all, it wasn't written very well, however I do think it had a fair storyline, and I will continue to follow the series. This books is a new way to look a vampyres. It's not like every tale of blood sucking monsters roaming the streets hunting for people. This book is the second in a series that tells the story of a young teen girl that not by choice is thrown into a world other then hers. She has to deal with everything all people have to deal with in their teen years, you know struggles with friends, family, and life choices. To top that off she is the "Chosen" one. Zoey has more power then any other vampyre fledgling her age and does not know all the power she has. After she imprints with her human boyfriend he starts to follow her around and she starts flirting with Erik the hottest boy in the school the trouble starts and Zoey loses her best friend Stevie Rae. P.C and Kristen Cast have created a book that teens can relate to but with the twist that all the kids are vampyres. 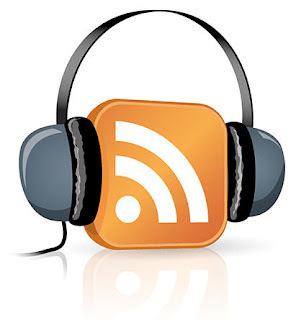 Want to help with the new Teen Zone Podcast? "a Web-based audio broadcast via an RSS feed, accessed by subscription over the Internet"
Anyways, I'd like to put together our own podcast here at the library and I'm looking for some teens to help me out. For each episode, we'll be talking about new books, movies, and music that you're currently into. You don't need to know how to create a podcast...we'll learn together. If you get it right, you get a harder word. If you get it wrong, you get an easier word. Check it out...my best score so far was vocab level 39...see if you can beat me! Looking for a good book but don't know what to read? Why not try one of the many Michael L. Printz book award winners? 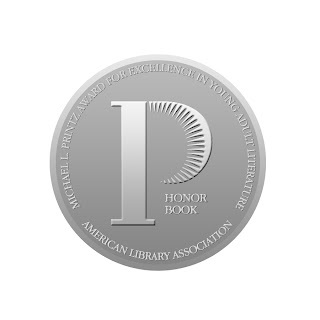 The Michael L. Printz Award is an award for a book that exemplifies literary excellence in young adult literature. It is named for a Topeka, Kansas school librarian who was a long-time active member of the Young Adult Library Services Association. Got some new Teen books at the library today....hope you enjoy them. Want your voice to be heard? We're looking for Cape May County teens who would like to participate and write book reviews for our blog. Feel free to choose any newer book you'd like....just read it and write up a short review and we'll post it here in the Teen Zone blog. Hello and I hope this post finds you well. It's my first post in this blog and I'd like to start out by talking about what I'll be using this blog for. Basically, I'm going to try to post something short every day, whether it be news about what's going on at the Cape May County Library or just neat things I find that you may enjoy. I'll keep you up to date with the new books at the library, all the cool teen programs we offer (such as the 2008 Teen Photography contest, the Writer's workshop, and our ongoing Game Nights), and some reviews of new books you'll find in the library. Also, if you want to write book reviews for this blog, let me know! 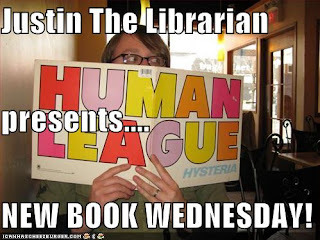 Read any new books we have at the library, write up a review, and send it to justinh@cmclibrary.org and I'll post it. I hope you stay tuned for more! I really look forward to keeping in touch with you about everything going on with the Teen Zone at the Cape May County Library.